The Dread Shadowmage, Raselas, has gathered an army to destroy what remains of the ancient Three Wills, and conquer all who oppose him. New heroes will rise and stand against the forces of darkness, to restore the sanctity of the old and ensure peace to the lands of good. Play solo or with friends online using three Create-A-Heroes plus three completely new heroes that will join you as your journey progresses. Complete the side quests you are given to obtain valuable experience and loot, which you can later spend at the shops to buy powerful magical items. 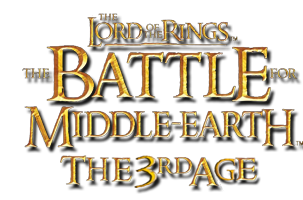 Face enemies you have never seen before and explore a completely new universe, far from the tales of middle earth. - Play solo and control all heroes, or up to three players coop for the best adventuring experience. - Classic RPG elements: Experience the feel of the old classics while enjoying the epicness that only bfme2 can provide! Please remember to read the map instructions before you play. Extract the .rar files to your maps directory. Remember you will only be able to see this folder if you can view HIDDEN files. Make sure, otherwise you will not see the folder. If playing online, make sure the player under the host is a Brutal CPU to avoid the map transfer bug. Also, to prevent OUT-OF-SYNC errors, if playing on EA's servers make sure everyone RESTARTS their game BEFORE playing the map. You may also need to restart after playing. Updated the download links, which seemed to be down. It's been a while! I hope more games like this are released, miss the old days! Best one by far from bfme2. I've updated all image links to show correctly, as well as the proper info on installing on Win 7. It's been a while but it's still very nice to see people play the map! Some people have been able to load their games, but some others have not. When I tried to play the game, I was able to start playing, but when I tried to load a saved game, it said "Error loading game..." and the file path. Do you know what's wrong? The map is not tested for The Rise of the Witch King expansion. It *may* work but it's recommended that you just use BFME2.